I learned in school the timing of the disintegration of information learned – to put another way, the flaws of memory. It is one reason why I began this blog – there was something tangible that I could go back on when my memory started failing. As such, I tried to write my reviews right after finishing the work or after a brief time while I waited for my thoughts to congeal (this is such an ugly word, but I like it). All that said, this review is occurring more than a month since reading the Iliad and I’m doing so without my notes, so please bear with me. Now that the disclaimer is completed, I would be remiss if I didn’t talk about my translation. Chris at Prose has a nice post on Iliad translations for those interested, and I believe most have translated the Odyssey as well. They seem to be a natural tandem for translators – and I appreciate the continuity. Anyway, I read the Robert Fitzgerald translation from 1974. Again, I can only tell you what I like – and I really enjoyed this translation. Christopher at Prose is a bit of a connoisseur and he prefers the Fagles translation, and everyone I have talked to enjoys this translation best – so if you have yet to buy a copy, I suggest you start there. The Fitzgerald translation was fairly fluid, but not as simple as reading Thomson’s translation of The Oresteia. It was extremely poetic and had a similar feel to the Iliad translation. The Odyssey chronicles Odysseus’ 10 year journey home after the 10 year Trojan War. As a child in middle school, I remember reading an excerpt on the Sirens in one of our literature compilations (the only other works there I remember was the Hobbit chapter ‘Riddles in the Dark’ and Lewis Carol’s nonsensical poem ‘Jabberwocky’). Literature was my worst class in grade 7 (93%), which I find very comical now. Due to this experience with Homer, I expected similar action scenes to the book on the Sirens. Reading the work, the events with interesting mythical creatures were less in magnitude than I thought they would be. As an adult, I appreciated having my earlier misconceptions shattered and learning about the history of certain characters, words and gods. I had no idea that my concept of ‘Cyclops’ was incorrect. I assumed it was the name of a one-eyed creature, when really it refers to the species. The name of the particular Cyclops in The Odyssey was Polyphemus. I also had no idea that Helen somehow goes back to Menelaus, and I’m still unsure exactly how this happened (Parenthetically, Menelaus seems like a much nicer person in Homer’s work than he is made out to be in Hollywood). I had no idea that Agamemnon died at all on his return home by his wife, and this event is further explained in The Oresteia. 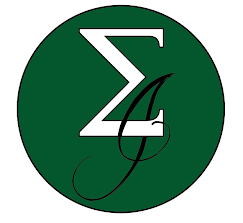 I’ve touched on the role the Gods play in my post on the Iliad, so I won’t rehash it. While most of the members of my bookclub enjoyed “The Odyssey” more due to the fluidity of the prose and the journey aspect of the work, I much preferred “The Iliad”, which was something I was not at all expected. While the latter was a more difficult read, I felt like I could really get inside of Akhilleus’ head, while Odysseus you saw more through actions. He let his men go first into Ceres’ house when they did not want to go, he let his men be devoured by Skylla, he practiced infidelity (not that most Greeks didn’t), he tortured men and his brash actions lead many men to die at the hands of Polyphemus, the Cyclops. All these events seemed in stark contrast to all other accounts of Odysseus, especially in that of The Odyssey. The one thing most people enjoyed about this work is that he was presented with all his flaws and it was left to the reader to form a judgement. I felt this was the case in both works by Homer; a welcome contrast to the portrayal by Hollywood. I think it’s worth it to read ‘The Odyssey’, as you’ll be better able to sort through fact and fiction and pick up references that you never knew existed before in the world around you. As I have stated, this read was more fluid than The Iliad, so if you feel like you couldn’t give any more Homer a try after that work, hopefully this post will allow you to reconsider. Also, mix it up between poetry and prose as well as translators to find something you can really relate to. 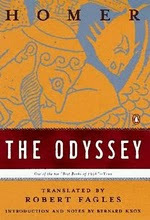 Have you read ‘The Odyssey’? What did you think? I really enjoyed this post, and I've bookmarked it: I want to read Odyssey soon (probably not until December though, have a massive amount of things I want to do in November), but I had such an awful time with Iliad (read that earlier this month). Part of the problem was the way I read it, so I want to try to make a better job of reading Odyssey! So, when I start it I'll return to this post, I think.